Discussion in 'The Garage' started by Shaftdrive, Apr 4, 2008. I'm going to instal the PIAA 510 lights on my '05 GS 1200, just wondering if there are anything I should watch out for. I got some great brackets from Adventurers Workshop (Thanks to Gadget Boy). Is there any danger to the Can Bus system? Any one who can share some tips would be greatly appreciated!!! However, wiring it up like that has one main drawback, you will be required to shut it off every time manually, and if you don't you will kill your battery fast. 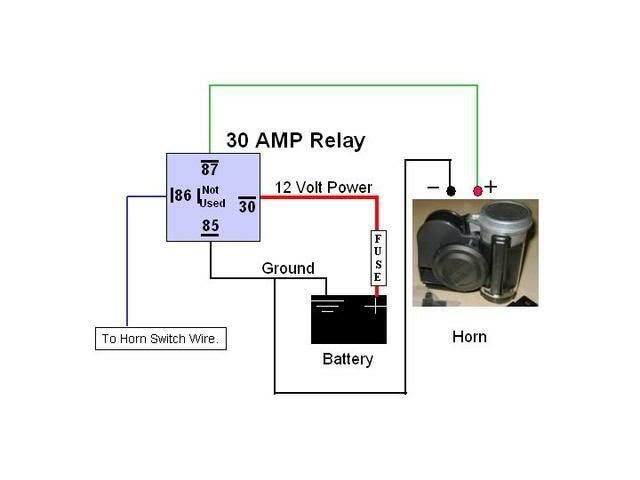 To prevent that you need to get your power through an additional relay that is activated by your ignition. 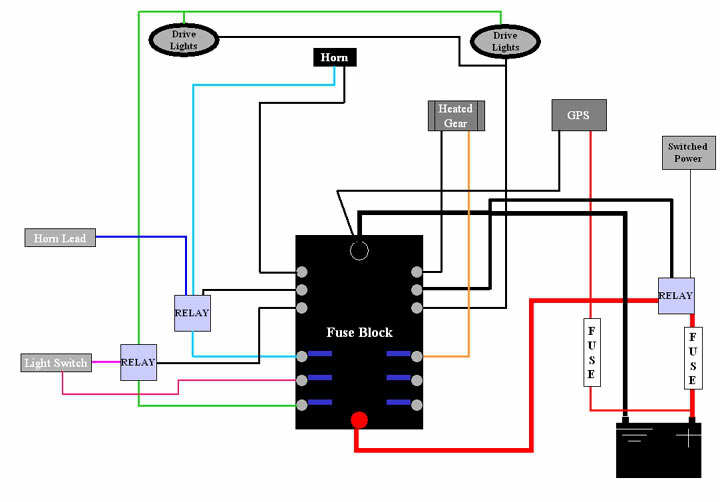 This diagram shows a fuse box, but you could substitute the fuse box for the hot lead to the PIAA harness. Take your signale wire (hot from the ignition) from either your accessory plug under the seat, diagnostic plug blue/green wire, or your parking lamp on the front of the bike. Or, add a fuse box for your other accessories like Gerbings and such. Thanks Jim, Just wondering, will there be a fault message showing up if I take my signal from the parking light? If so, is there anyway around this? 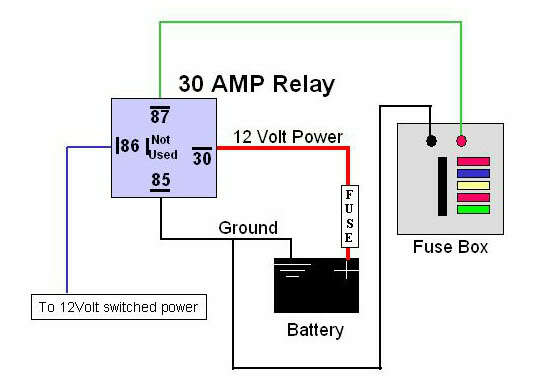 No fault, the signal for the relay requires very little current. The bike will never notice it. www.r1200.info has a good write up with pics. In regards to the relay, I believe the Piaa 510 kit comes with a relay. 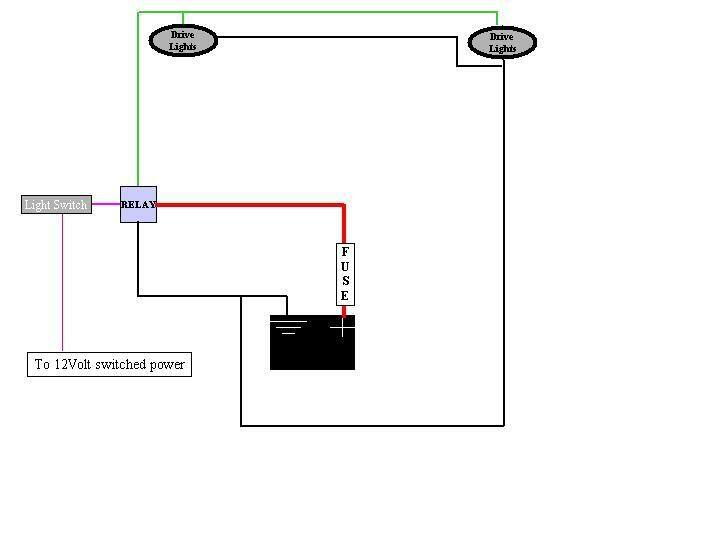 Do I just connect the appropriate wires to the positive and negative sides of the battery and find a live wire (possibly from the front parking light or auxilliary socket, like you mentioned) to the switch??? Yes, if you find a "live wire", say from the low beam, or the parking light, and run that through the switch, it will shut off with the ignition and prevent unintentional battery drain! Hmmm, winters really are tough up there, aren't they? Thanks, I am glad I could help! Do the 510's fit on a stock '08 Adventure light bar? I'm wanting to replace the stock fog lamps (crap) with new PIAA 510's and am wondering if I'll also need to buy a replacement bracket, or if I can just remove the stock lights and bolt on the PIAA's. The parking light is great because it works with the ignition and you can still turn the 510's on and off with the supplied switch. I just leave mine on all the time. I did this on my 1150GS and the lights stay on when the ignition is turned off. Got PIAA 540's and used their relay. Any ideas? (I bought your DVD's so just hoping you wouldn't mind dishing out some advice, oh and I watched them to... but not for fun) I linked up to the low-beam light. Maybe picked the wrong wire?? Your low beam is not the brown wire, so that may help. My guess is that you have the signal wire and the power wire reversed on the relay. Assume the horn is your lights. I am hoping that will fix it. Will not get a chance to get to it untill Sat. am. I did connect to the brown wire. Thank you very much for the advice... and DVD's.